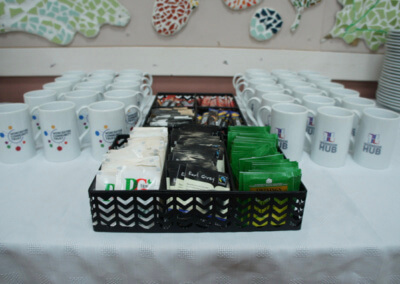 Warndon Hub and The Building Block. 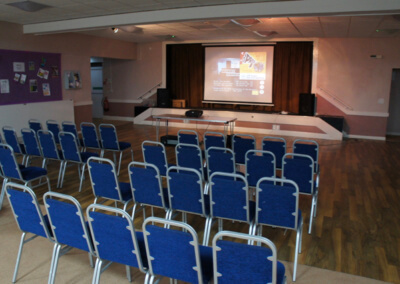 The Warndon Hub is our largest building with a great range of modern facilities including Halls (with stages for performances) and Meeting Rooms. 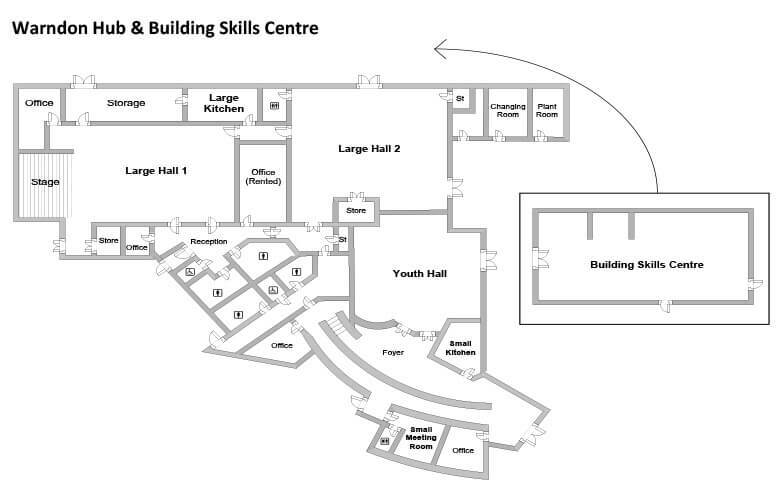 The Hub was extended in 2011 with a £1.2m investment.The Building Block, which is our construction skills training centre, opened in 2015 and is situated behind the main Hub. 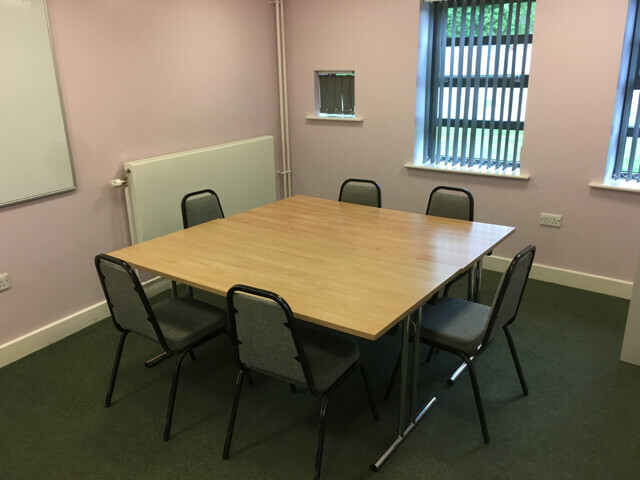 With ample parking, free wifi and easy access from the M5, the Warndon Hub is a great place for business meetings and training events. 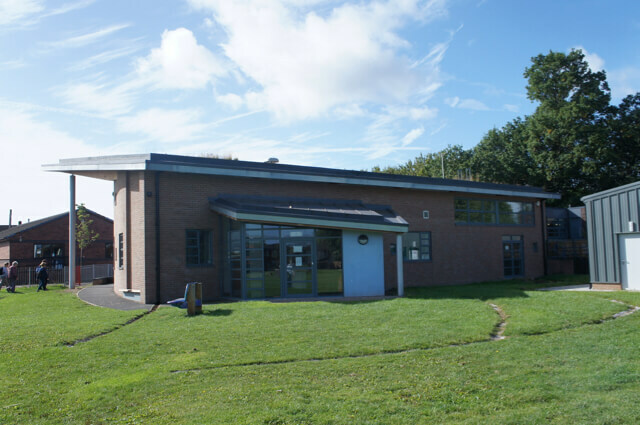 All of the information about the Warndon Hub can be found below. 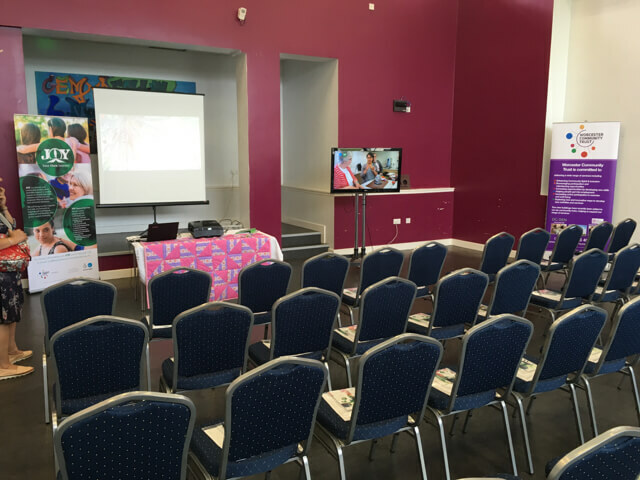 If you have any questions please contact our Customer Services, We would love to hear from you! 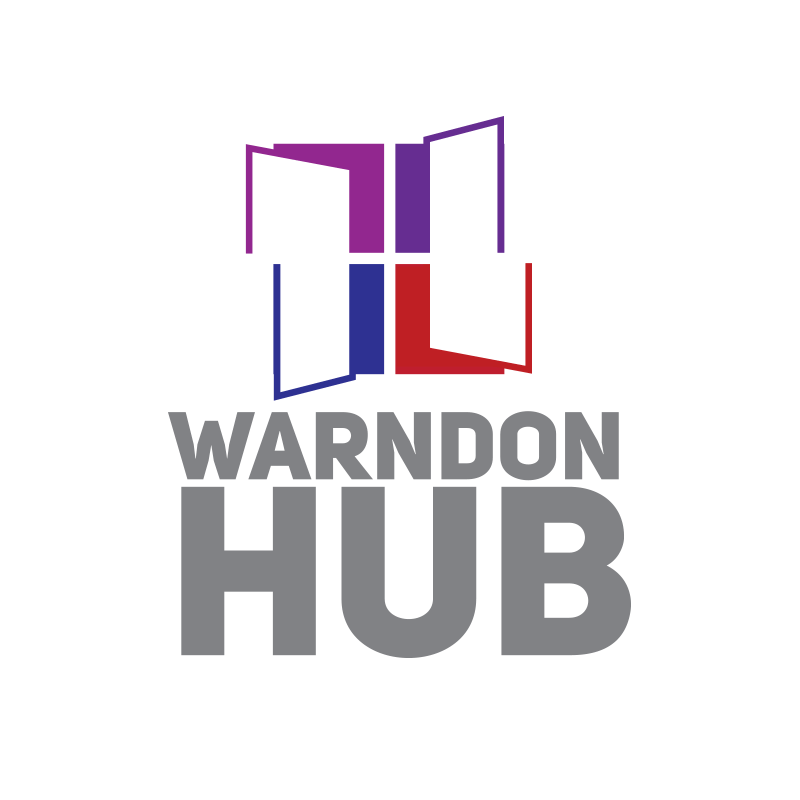 For a quick look at The Warndon Hub please scroll to the bottom of the page to view our Video Tour or if you would like to visit in person contact us to arrange a viewing. 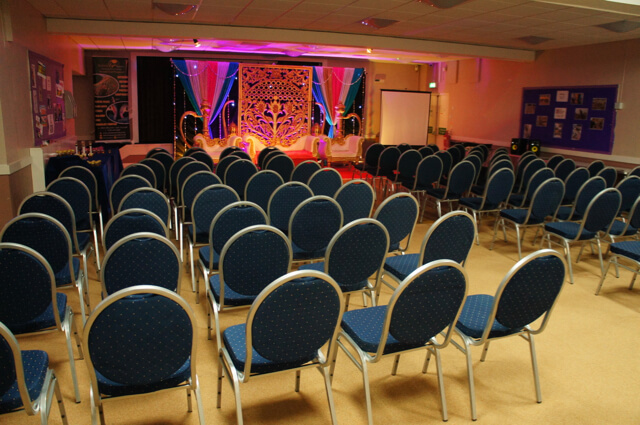 The Main Stage in Hall 1 is ideal for Conferences, Performances and Training Courses. 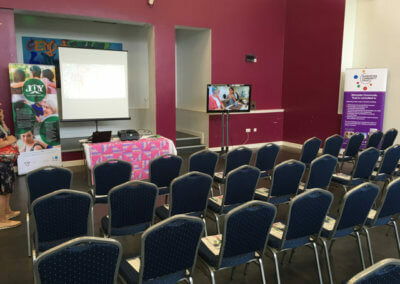 It has an electric powered drop down screen making it ideal for presentations and even showing Films! 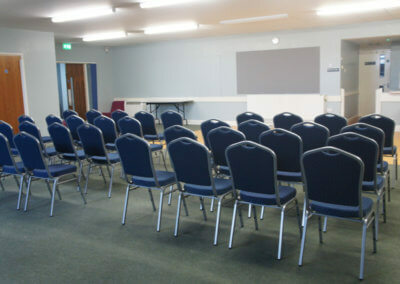 Hall 2 is a very popular room. 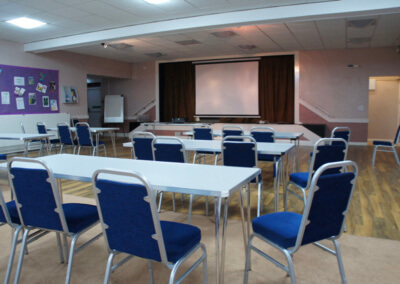 It is a bright space used for training, conferences and meetings. 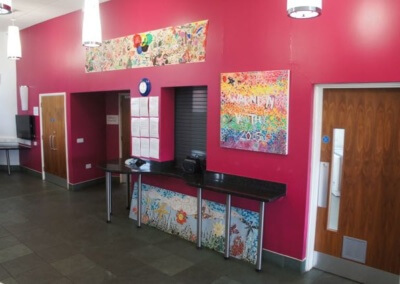 The Youth Hall is located in the newest part of the Hub which opened in 2011. 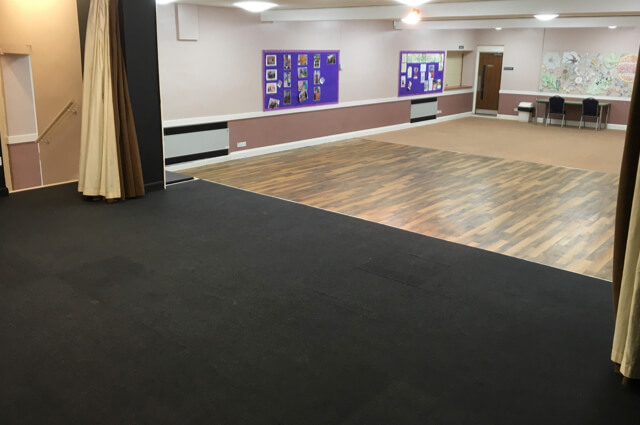 It is a large open space that can be used for meetings, drama and exercise classes, youth activities and birthday parties (with room for a bouncy castle). 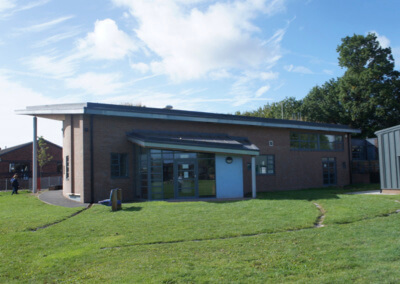 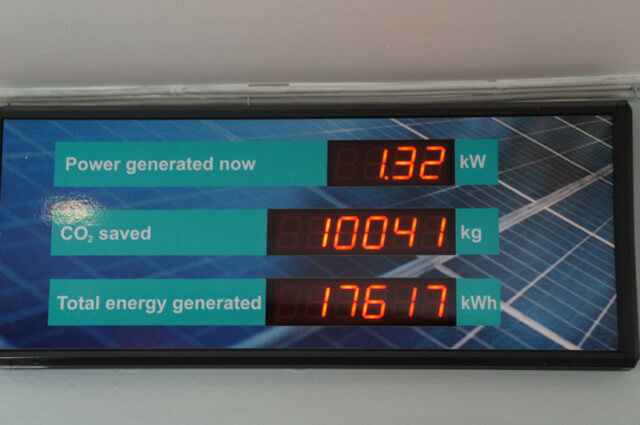 The Warndon Hub is solar powered, harvests rainwater and has a green roof covering. 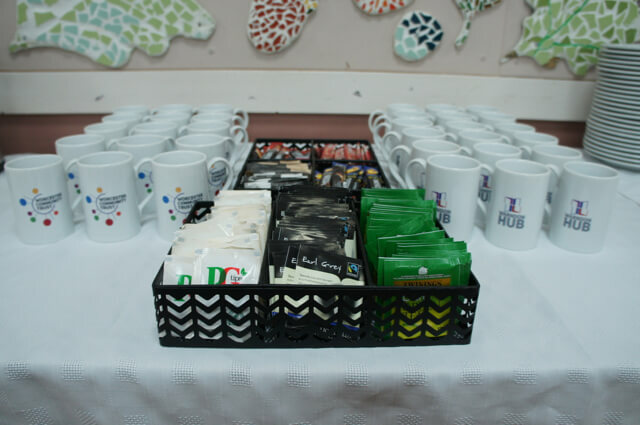 Would you like to view The Warndon Hub? Book a visit here. 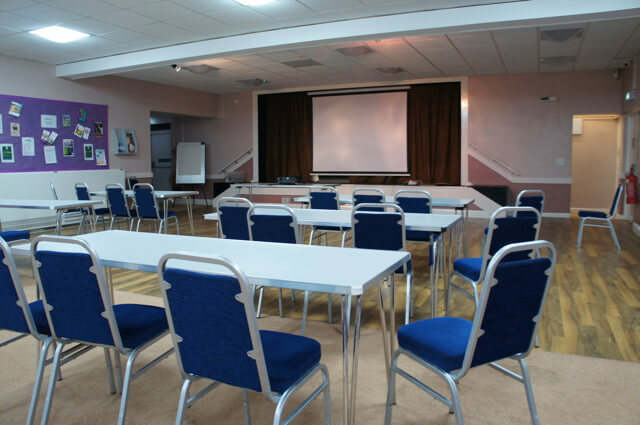 With a seated capacity of 120 The Hall is the perfect venue for Meetings, Conferences and Training Courses. 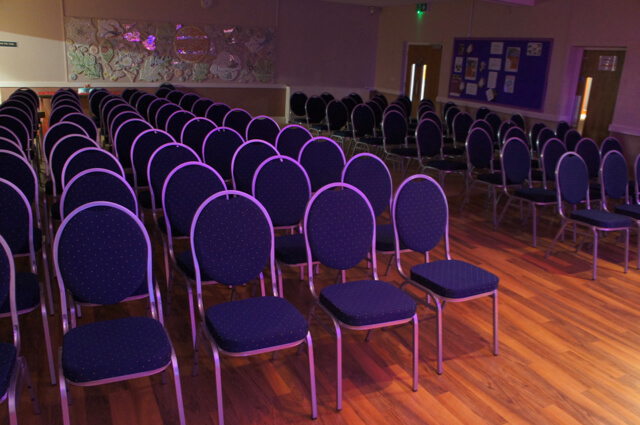 It is also perfect for other events including dance classes, parties, weddings and assemblies. 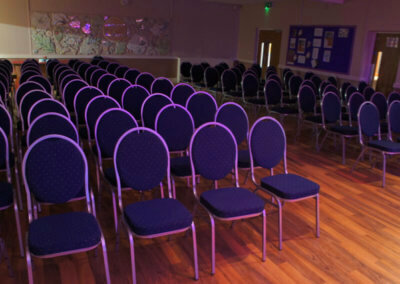 With its own stage it is a perfect Theatre Style Venue. 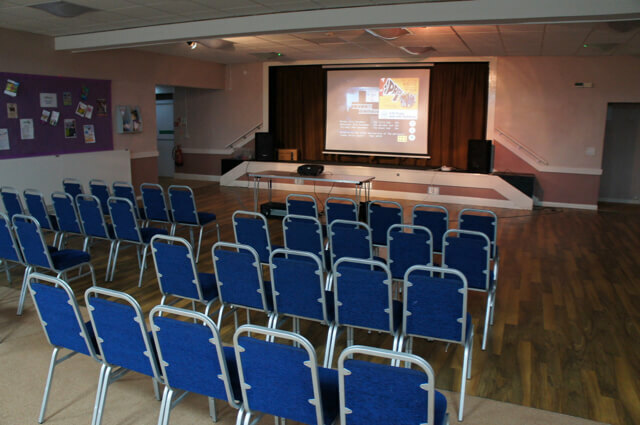 There is a kitchen servicing the Hall via a serving hatch and the Hall also has a drop down screen for presentations or even films! 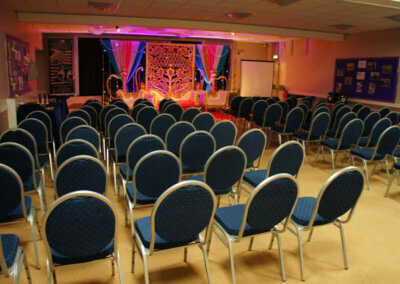 With a seated capacity of 100, this large hall is an ideal venue for meetings, parties and gatherings. 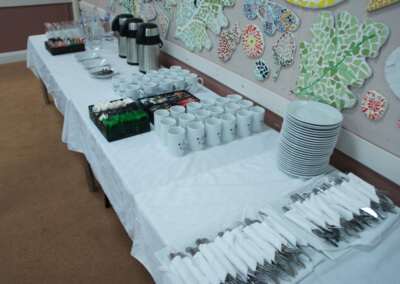 It is a bright open space. The Kitchen which services the Main Hall via a serving hatch has sinks, wash basins, dishwasher, gas cooker/oven, fridge freezers and a hot water urn. 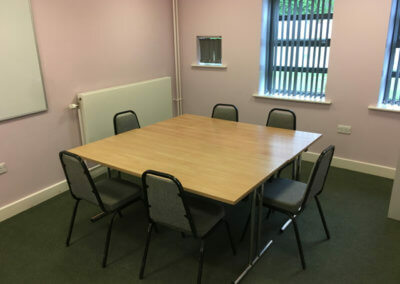 This very private meeting room suitable for up to 8 people is ideal for small meetings, interviews and surgery’s. 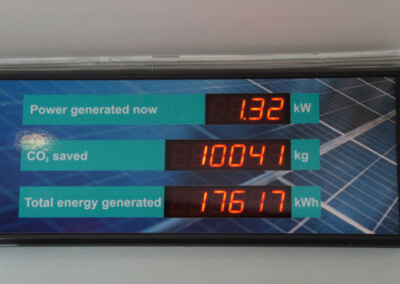 It also has its own ensuite toilet. 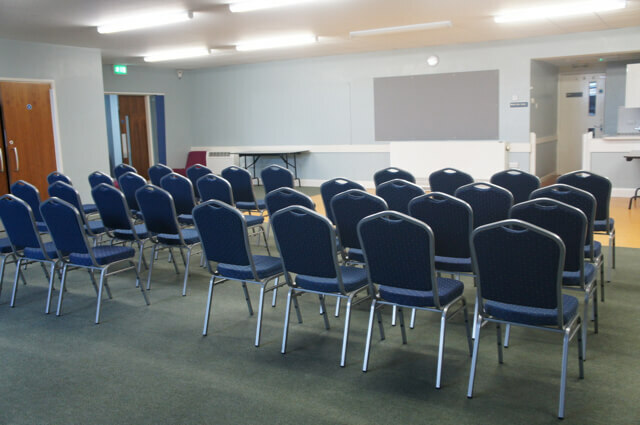 Please note: This room is only available after 7pm Monday-Friday and all day on weekends. 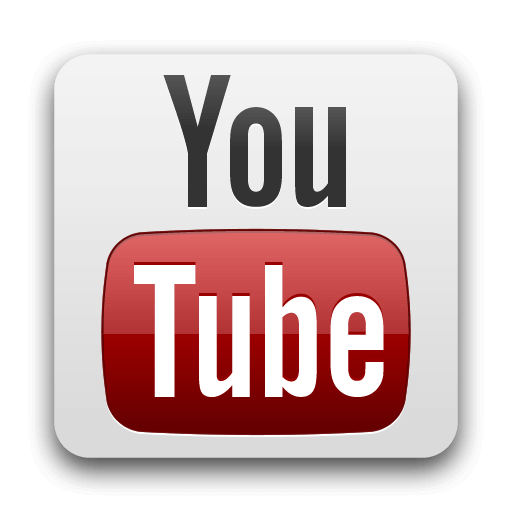 or to view our other Hub Videos click on the Youtube Logo.